I can't believe February is almost over! This month flew by way too fast. We just got back from a fun-filled couples weekend in Portland. It was a much-needed little escape. I have a lot to share in terms of yummy spots (we ate our weight in donuts and coffee) and great local shops. These past few weeks have been a blur. I'm currently shifting gears in terms of my career (more about that to follow!) on top of juggling our household, caring for our 7-year-old, and making time for my hubby. Thankfully, these days I have a whole army of apps and a wonderful support system (thanks Mom and sis for babysitting Natalie all weekend!) to help balance it all. Balance. One word I've had to struggle with lately, specially in terms of skin care. I've always had good skin (thanks mostly to genetics and a somewhat well balanced diet) and a great system (cleanse, tone and moisturize twice daily!) I've religiously followed since my early teens. However, there are a lot of factors that I didn't expect could wreak havoc on my complexion and throw a wrench on my tried-and-true regimen. Over the years my environment shifted (moved from a humid tropical climate to dry and cold temps), sleep patterns and hormones changed (thanks to my career and having a child), and time started going by much much faster. I now find myself battling fine lines, uneven skin tone, loss of elasticity and dryness in certain areas. I take pride in caring for my skin. After I became a mom and reached my thirties- I realized good skin care wasn't enough. It was time to get smart. 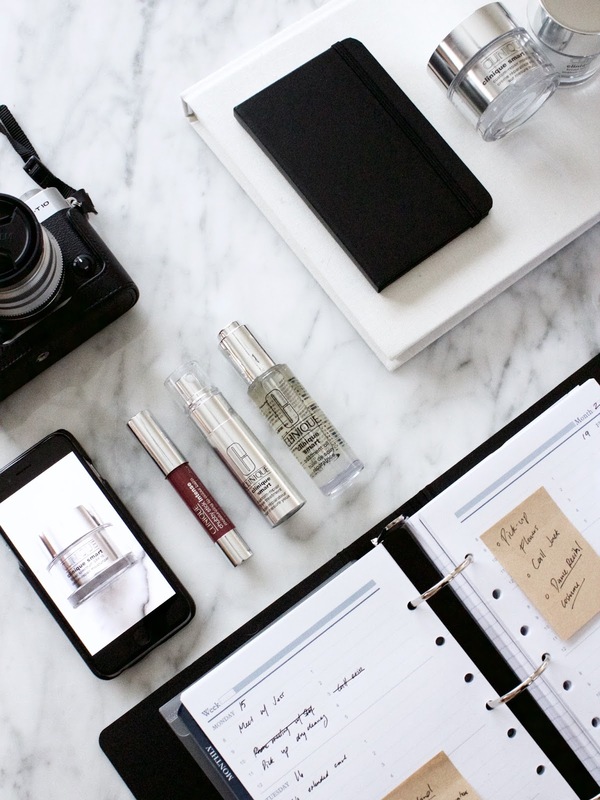 I needed products that could multi-task and effectively tackle my concerns so I could spend less time worrying about my worry lines and more time focusing on what matters most. As a longtime Clinique user I've always trusted their products to be gentle and effective. When they reached out and asked if I wanted to try their new Clinique Smart line, I knew I was in for a treat. 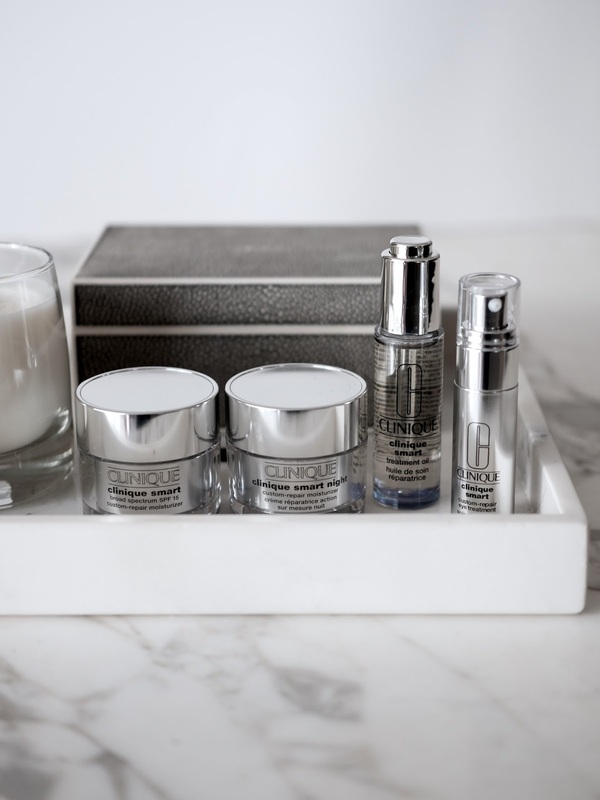 This new intuitive collection of creams and treatment serums is the modern-day solution every woman needs for gorgeous, age-defying glowy skin. It takes the guesswork out of skin care by battling wrinkles, evening skin tone, firming and brightening the complexion. I've been using the Custom-Repair Eye Treatment, Custom-Repair Night Moisturizer, and the Broad Spectrum SPF15 Custom-Repair Moisturizer for a week now and I'm already seeing amazing results! My skin feels so much more resilient, lines look much softer and my complexion is clear and bright. I just spent two hours in an airplane, and despite the dry cold air - stepped out with a fresh dewy face. So excited to see the results after a few months of use! On Friday, February 26 I'll be another year older. To celebrate, I'd like to share this newfound gem with you. Clinique and I are giving away one bottle of their Broad Spectrum SPF15 Custom-Repair Moisturizer! To enter, simply follow me @craftandcouture on instagram, like my post featuring Clinique Smart products, and comment by tagging a friend. I'll reach out to the winner on the 26th. This giveaway is open to US residents only. Thanks so much for dropping by, have a great week! This is a partnership with Clinique. All opinions are my own.